March 24, 2011. Morang. Ministry of Health and Population, District Public Health Office Morang has provided 290-bed nets (LLIN) and Essential drugs to fire-affected Bhutanese refugees of Sanischare Morang camp. 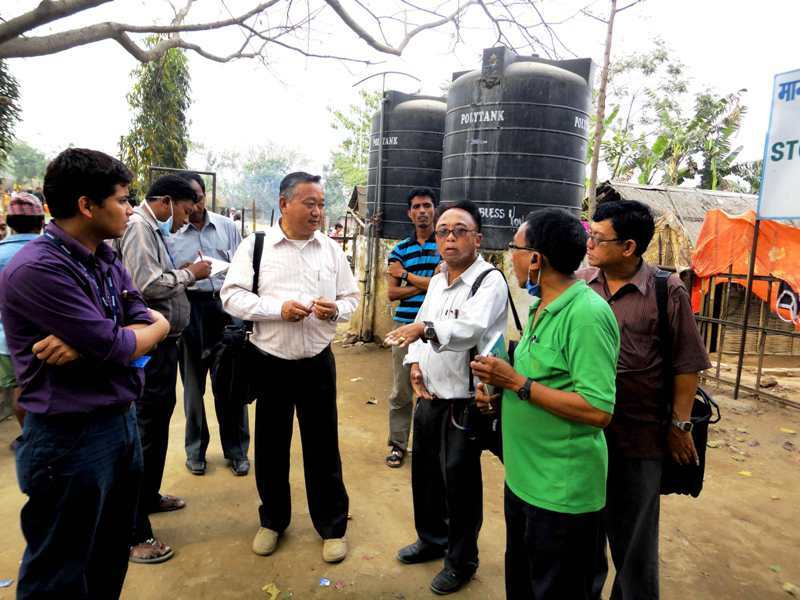 A team lead by DPHO Nawaraj Subba today visited the camp engulfed by fire at Sanischare refugee camp. A team has taken information about the health condition of refugees from Camp Incharge Champasing Rai and AMDA PHC Incharge Dr. Puspa Raj Sharma. 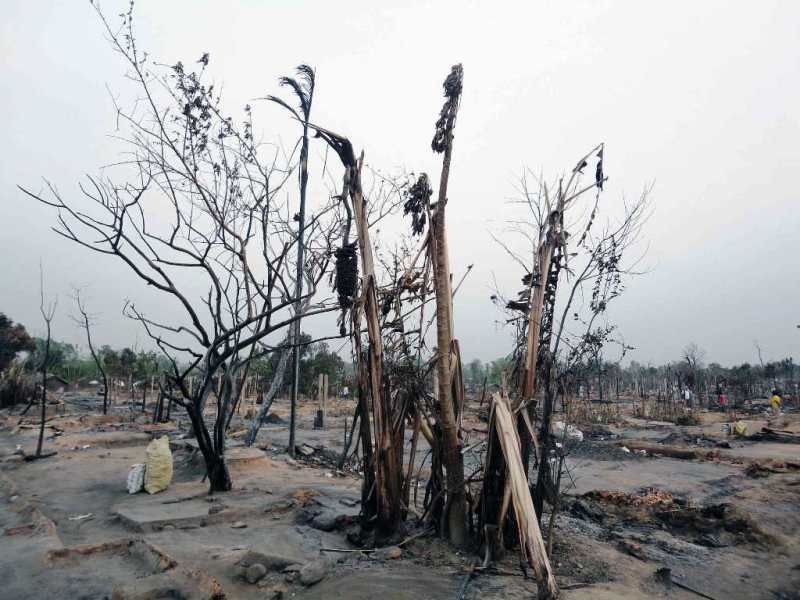 Total 278 huts were engulfed by fire on March 25, 2011. Sanischare SHP and Pathari SHP have been providing health care services to these refugees living in Sanischare camp according to Office. DPHO has given instructions to Incharges Tika Limbu and Murari Acharya to provide and facilitate additional health care and commodities to these fire affected refugees.